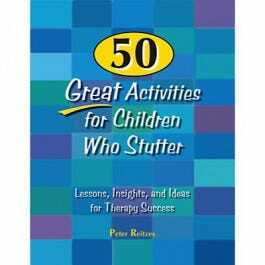 A refreshing, practical manual for professionals working with school-age children who stutter. Fun activities make therapy both clear and successful. The presentation of the activities is down-to-earth, and includes step-by step directions, as well as delightful dialogue to use with the kids. You also get a number of activities specifically designed for therapy groups composed of children who stutter and children with language disorders. The activities are designed for children aged approximately 7-12 years and seek to address the emotional aspects of the disorder by exploring and talking about stuttering, reducing avoidance behaviors as well as encouraging skills within speaking situations. 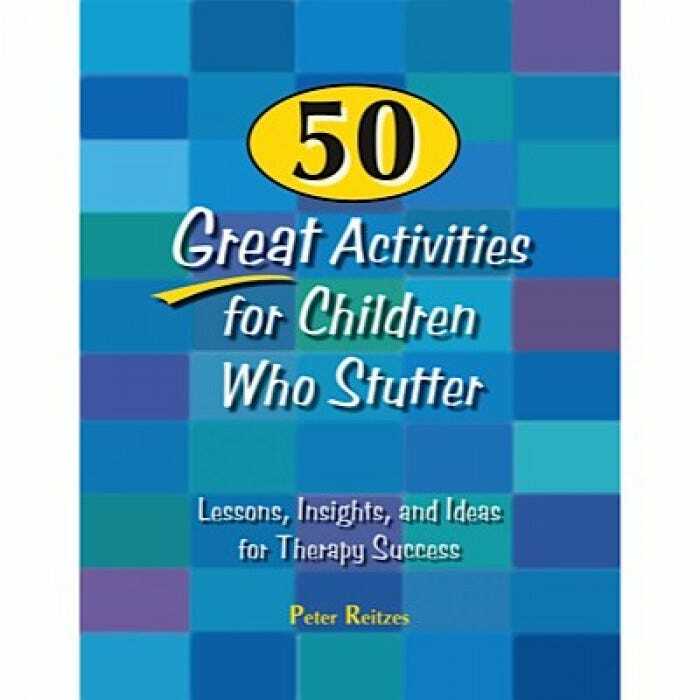 The author's experience as a person who stutters, as a speech-language pathologist, and as a frequent volunteer for self-help organizations has well prepared him to create 50 ingenious, easy-to-use activities, most including several possible adaptations. 415 page book includes a CD-ROM with all the homework assignments, handouts, and awards.